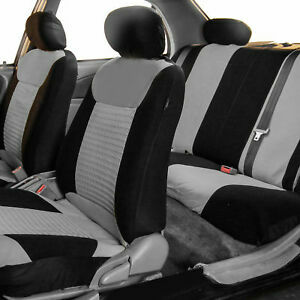 Good , seat covers not bad. This is an Awesome Company,No Fear Purchasing ! Excellent seller to do business with. Good seller fastest shipping ever. Thx. Front seats fit great only problem is with the back row with the 2seats in one the cover didn't fit quite that good. Needs to be wider. These were installed in my 2008 Tundra.They went on beautifully. The instructions are clear and the product is of great quality. I'm so please.